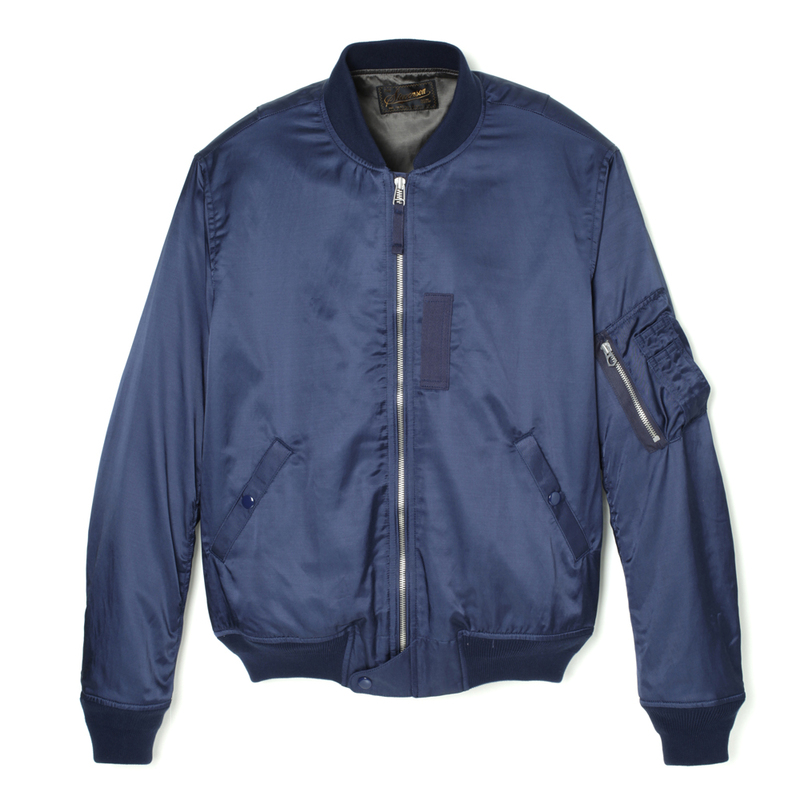 The first U.S. Air Force flight jacket to incorporate a nylon outer shell is the L-2. This jacket is inspired by its successor issued in 1965, the L-2B. It is a simple jacket with no epaulette or pocket flaps. Made of rayon/cotton sateen blend fabric with modernized silhouette and design. Made with a combination of rayon on warp and cotton on weft, the glossy satin fabric offers a soft touch and comfortable fit.